On my last introduction for my Johor escapade, we started off the journey from KL 7.30am. On a 2 cars convoy, we reach Senai airport for a break around 11am. After the break, we head to Desaru via the new E22 Senai – Desaru Expressway which shorten our trip which previously take longer hours. In the olden days, we need to go all the way down to Johor Bahru and from there drive another 1 hour plus just to reach Desaru. E22 has been fully completed and opened to public starting from 10 June 2011. The final stretch from Cahaya Baru to Desaru is approximately 27 km in length which includes the Single Plane Cable-Stayed Bridge across Sg Johor that ends at the Penawar Interchange. 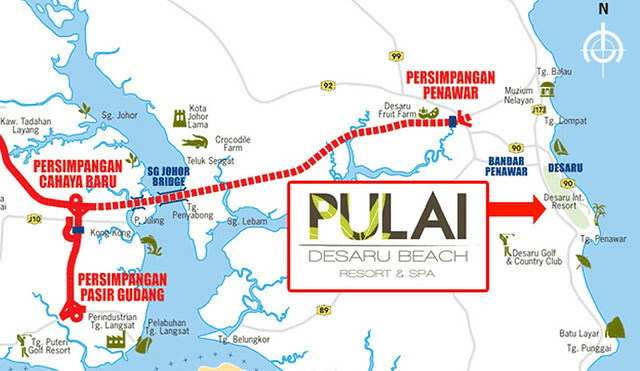 With the linkage to Desaru, Desaru will be truly rejuvenated and is expected to increase the number of visitors, both locals and foreigners to Desaru. With the completion of the highway, travelling distance from Ulu Tiram to Penawar is reduced by 16 km while travelling time reduced by 1 hour. For more details on the Expressway Map. We touch down at the Hotel and were greeted by the staffs who were expecting our arrival. Without wasting much time, we proceed to the check in counter. Upon stepping in to the main lobby, we already can feel the sea breeze and fresh air from the surrounding lush greenery. The tall and high ceiling is a design concept where there are no air condition needed. Eventhough it was a bright sunny day, the air in the premiss is so cool. Checking in process here are pretty straight forward and fast. The look in the lift with mood lighting. We were impressed with the lifts which look so futuristic just by changing its lighting. Now let us go checkout the surroundings of the hotel. A great place for relax with plenty of green sights surrounding you. It just makes you relax and feel at ease. That’s a rough intro on the outside and now we are going to see how’s the room. Enjoy spacious rooms with private balconies and stunning views. Pulai Desaru Beach Resort & Spa is a 5 storeyed high resort with 193 fully furnished Sea/Pool and Garden view rooms, Loft rooms and Presidential Suites. All rooms are furnished with a private balcony and a coffee table and chairs. This is how my room look like. Feels like I am currently at home. Simple and cozy environment. The reading table just perfect for me to write post here. Sofa area to relax while watching your favorite TV show while munching down the fresh fruits served at your room. This is the washing and toilet area. Very spacious indeed. All the toilets look pretty the same with a bath tub and a WC at the side. There are a shower area also. You can tell the front desk to put you in the room facing the beach and pool side. All these rooms were highly sought after and subject to availability. 80% of the view is green, 15% sky blue and 5% landscaping blue. There are not much foods around the area so we dine pretty much in the hotel for dinner and breakfast. 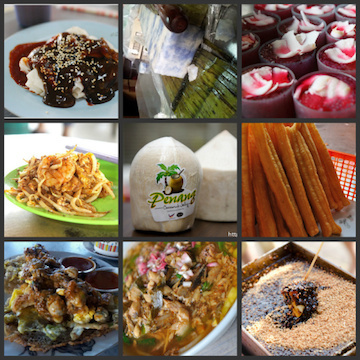 Or you can choose the outdoor activity which we going to eat at the local villagers place shortly. So why not start to get your self a hot tea bag and enjoy the nature? OUR JOURNEY CONTINUES WITH THE ACTIVITY AFTER THIS ……..